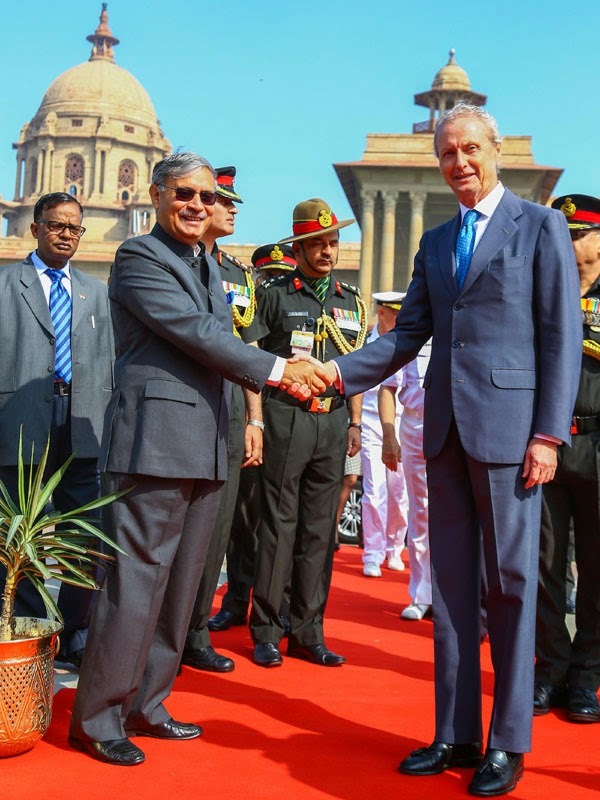 Spain Defence Minister Pedro Morenes Eulate is in India on a 2-day visit, slated to meet Defence Minister Manohar Parrikar the three service Chiefs and even NSA Ajit Doval. Spain has proposed to the Indian govt that Avro replacement deal for the Indian Air Force for 56 Avro transport planes, for which the Spanish Casa 295 has been shortlisted , after it emerged single vendor, be converted to a Govt-to-Govt contract, rather than cancelling the RFP and going for a fresh tender. Morenes said this morning about the new Indian govt that,"I find there is a new enthusiasm, and a new attitude, an idea to do something new and important , in the new Indian govt, which is good. 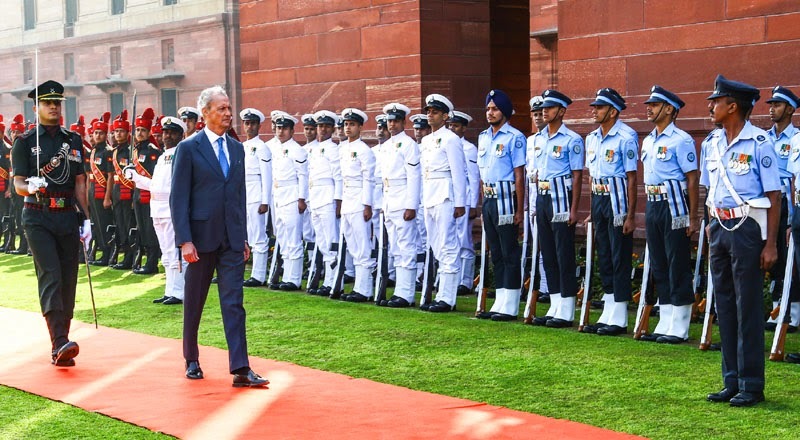 Building of trust is very important in defence cooperation"
Spain and India will sign a deal under which there will be a commitment to protect sharing of classified information , by both countries. L&T and Navantia of Spain have entered into a joint venture for naval projects, like the ongoing LPD, for which the prime contractor is L&T and Navantia is the sub-contractor, chosen by L&T, as its partner. Other future projects coming up are OPVs for the Indian Navy. Other areas of interest for Spain, which will come up in talks are Cyber, outer space, technologies to be shared in deals of the army, navy and airforce. 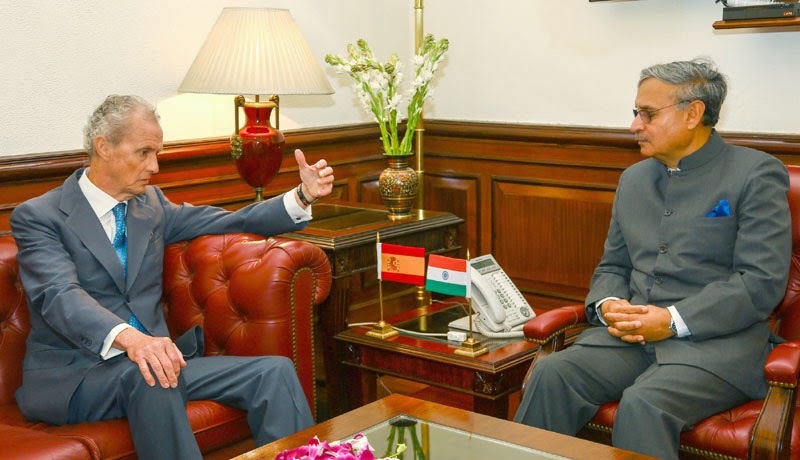 Spain has also shown interest in the mountain warfare techniques of the Indian Army, for which it has asked India to train the Spanish army, as Spain is the second highest country (altitude-wise) in Europe, after Switzerland, "India has good military capability in the mountains", said Morenes.